We welcome yet another team member to our own personal JUSTICE LEAGUE in Jason Michael of ATLANTIC SCREEN CONNECTION. He joins the world's most enthusiastic fan of comic book movies in Michael Denniston of PROJECTING FILM to discuss the varied responses to this lastest DCU film endeavor, along with the various version that could have been with this movie. 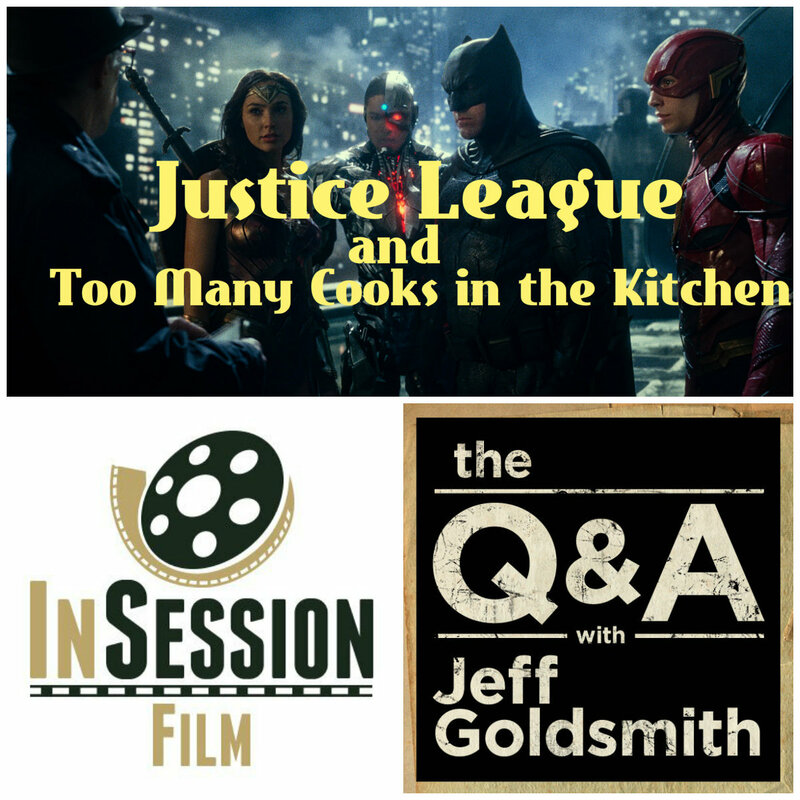 That leads us to our theme of Too Many Cooks in the Kitchen, and to celebrate that we bring in a couple other great podcasts that have covered this topic previously in INSESSION FILM and THE Q&A WITH JEFF GOLDSMITH.